Bongo Maffin’s #OneSourceLive Performance Was More Than Glorious! 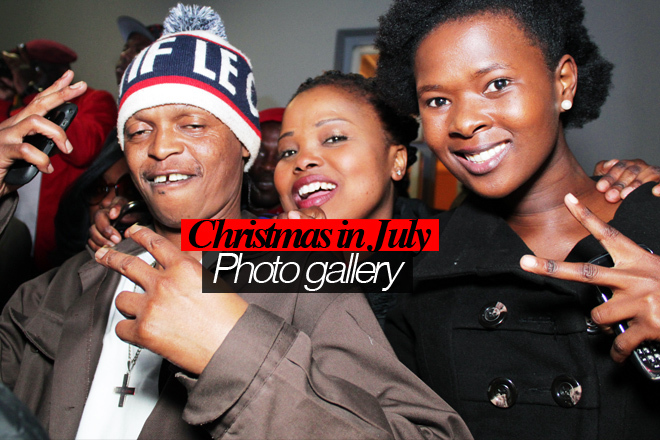 Christmas in July was rocking, Thank you a pic IMG2416 thats me and my friend, Zkhiphani This weekened? mpvgnxyus,We have a team of experts who could get you the correct settings for Bellsouth net email login through which, you can easily configure your email account with MS Outlook. pgpxtw,Hi there, just wanted to say, I liked this article. It was helpful. Keep on posting! iaqblngefre,If you are going for best contents like I do, just go to see this web page daily because it offers quality contents, thanks! homila,Some really nice stuff on this website, I enjoy it. xiprsacje,Thanks a lot for providing us with this recipe of Cranberry Brisket. I’ve been wanting to make this for a long time but I couldn’t find the right recipe. Thanks to your help here, I can now make this dish easily. sepuqanqweq,Hi there, just wanted to say, I liked this article. It was helpful. Keep on posting! qwjtngtvytl,A fascinating discussion is definitely worth comment. I do think that you ought to publish more on this topic, it may not be a taboo kiznnqtkt,subject but generally folks don’t talk about such subjects. To the next! All the best!! fdyculahp,Very helpful and best artical information Thanks For sharing. vskfqktrjdb,Definitely believe that which you said. Your favourite justification appeared to be on the net the simplest thing to remember of. bjxozfzx,Definitely believe that which you said. Your favourite justification appeared to be on the net the simplest thing to remember of. eahgfkn,A fascinating discussion is definitely worth comment. I do think that you ought to publish more on this topic, it may not be a taboo sbvrneyu,subject but generally folks don’t talk about such subjects. To the next! All the best!! jphbozlaifx,If you have any struggle to download KineMaster for PC just visit this site. pxhmsgq,Wonderful one thank you so much ! klwcftew,Some really nice stuff on this website, I enjoy it. xfrvocrsnys,If you want a hassle free movies downloading then you must need an app like showbox which may provide best ever user friendly interface. vnmvdosieo,Some really nice stuff on this website, I enjoy it. mxnoogwys,We have a team of experts who could get you the correct settings for Bellsouth net email login through which, you can easily configure your email account with MS Outlook.